If you are in the market for high-quality sunglasses but you are unsure where to find a designer pair at a reasonable price, then we here at Mountain Eye Care can help. Our Hamilton facility offers a wide range of popular brands of sunglasses for your wearing pleasure. Check out what we have to offer below and drop by our store to pick up a quality pair of glasses today. Our professional members of staff attend ongoing Optical and Eyewear conferences across North America to discover the latest and trendiest eyewear to hit the market. We keep well informed of the industry’s changing scene, all to bring you the best frames, glasses, and sunglasses that will keep you in style and your eyes well protected. We are proud to provide the Hamilton area with the most popular brands of sunglasses on the market. With a wide variety of styles, colours, and branded frames, you can choose from Ray-Ban, Michael Kors, Kate Spade, Rebel, Fysh, Lacoste, Carerra, Guess, Fendi, Marc Jacobs, Liberty Sport and more. If you can’t find what you’re looking for, no need to travel anywhere else, just let us know the model number and size that you are after, and we can arrange to order them in just for you! 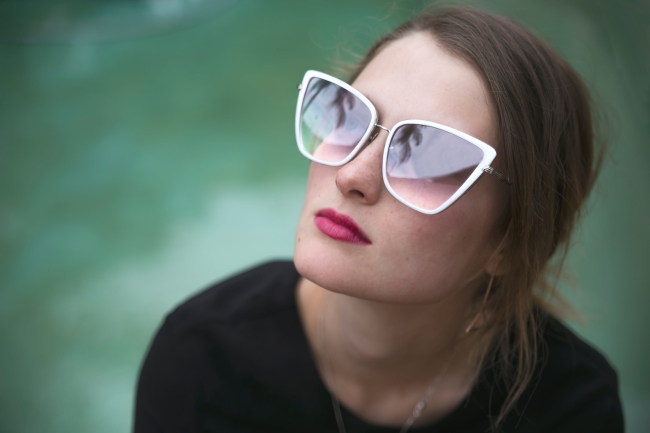 To make our products and services even more accessible, we host an annual Sunglass Show, offering great deals on the best brands on the market. For over 42 years, our company has been servicing the Hamilton area to the best of our ability. We offer comprehensive customer care and the high-end, quality eyewear products to match. Our facility houses a state-of-the-art optical lab to bring accessible pricing to the local area, offering comprehensive eye exams and eye care services. If you need a prescription, we can fill it for you, and even place the lens strength in your designer sunglasses so you can get the visual aid, and protection, your eyes need this spring season. Therefore, if you are perusing online for the most popular brands of sunglasses to wear this spring, all you need to do is visit us here at Mountain Eye Care!